This beautiful Transitional kitchen is everything the homeowner ordered, and more. It combines the simplistic, neutral approach of a contemporary design style with the the classy and refined feel of a traditional interior design. 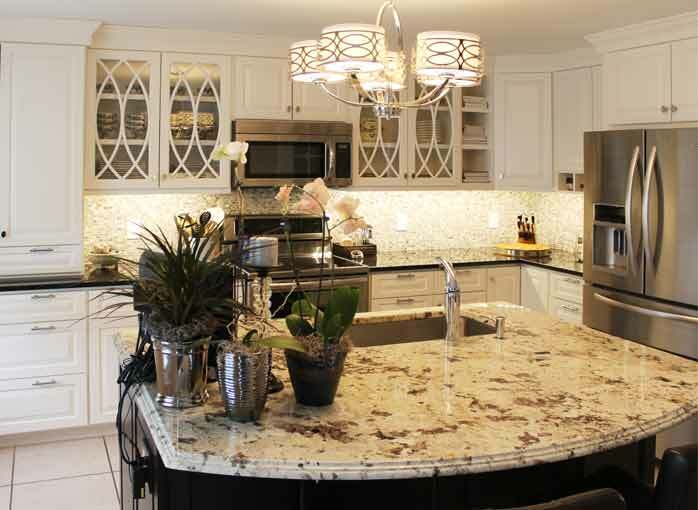 From the custom kitchen cabinets to the eye-catching granite, backsplash and lighting, everything was chosen to complement one another. 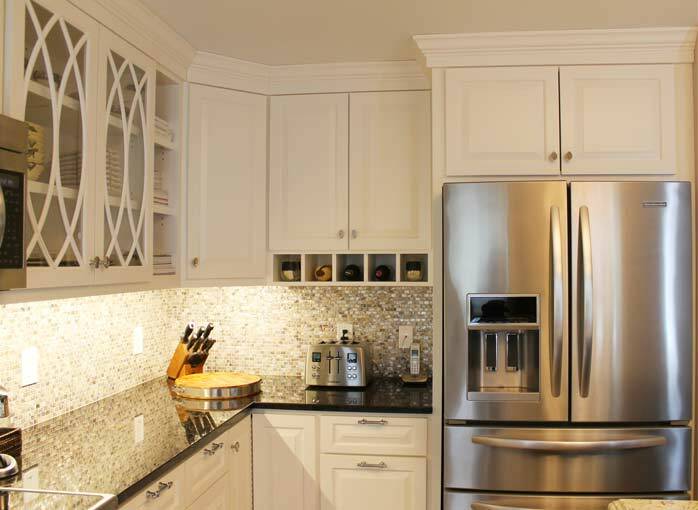 This was the homeowners first time owning a new kitchen and they were thrilled with how the space turned out. The best part of this job from the homeowners stand point—it took just three weeks from start to finish, from installation till they were able to move into their new space. That was pretty amazing!